This block is a conditional block that is triggered when the trend on the period that you set is validated. 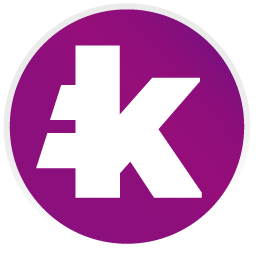 For example, if you choose to trigger the block when there is a uptrend validation of 10 candles, the value of (xMA(L))(Current time) must be higher than the value of (xMA(L))(Current time-1) 10 times in a row. We know our example can be difficult to understand so here’s a graph. Trend type is the type of trend you want to identify, either Uptrend or Downtrend. 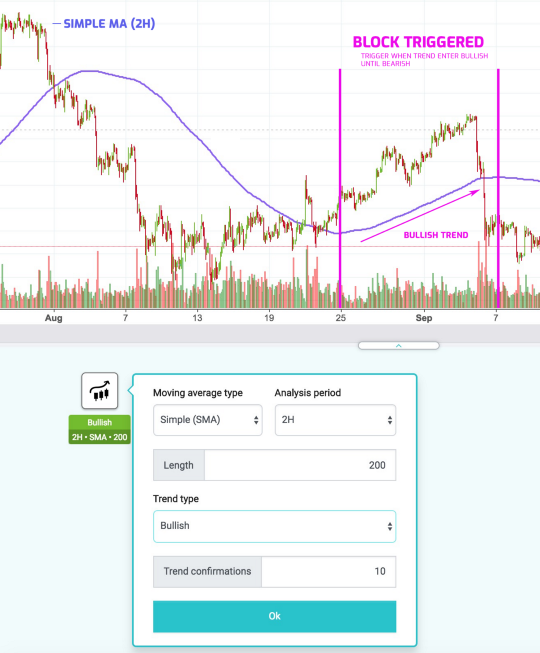 Trend Confirmations is the Number of confirmations required to validate the uptrend or Downtrend. 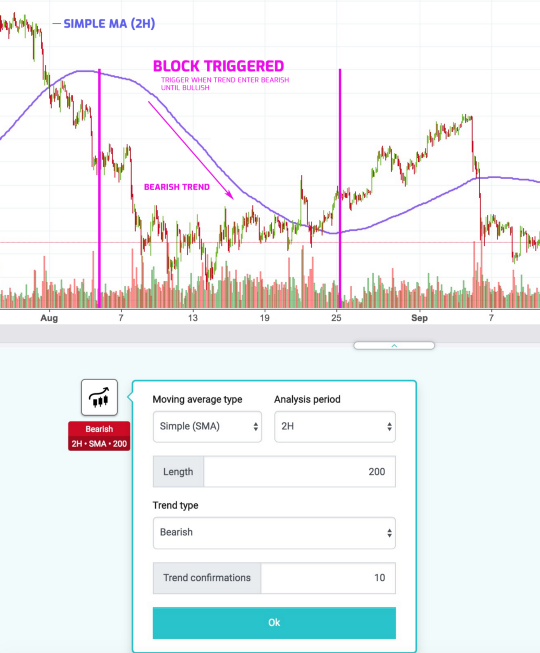 In the following example, the strategy is gonna trigger a block whenever there is at least 10 confirmations to a trend. That way our block is getting triggered as long as xMA is situated between the 2 lines.